Due to a rapid technological development, the modern world has turned into the world of various countless data, which, if not organized and registered, will bring to chaos.There are different ways of modern data acquisition devices, most frequently called data loggers, designed for recording and monitoring of processes and parameters, which if connected appropriately, create a certain data base, where the data is not only registered and recorded, but stored, due to the high capacity memory of the devices, analysed and processed, due to the modern software, and sorted out, which provides an important information about the environment checked, manufacturing, technical processes, products or parameters. A data logger is, quite simply, an electronic device that stores data. The data logger has become a revolutionary perfect solution for logging data and is nowadays represented by a wide range of devices, from small one to quite complex data logging systems. PCE Instruments’ data logger products are digital processor-controlled storage devices that capture and record measurement data over time using built-in or external sensors. The data logged reflects different parameters of sound, temperature, humidity, light, gas, air, voltage, current, shock, vibration, force, water quality, ... obtained through contact or noncontact measurement with a data logger. Each data logging instrument offered by PCE Instruments comes manufacturer or factory calibrated. An ISO calibration certificate can be acquired for any data logger for sale on this website. Please visit the calibration section of this webpage for more details. The data logger PCE-VDL 16I from PCE Instruments measures and stores the relevant measured variables: temperature, relative humidity, air pressure, light as well as acceleration in three axes by means of a vibration sensor. Therefore, this data logger is ideal for monitoring vibrations on machines while simultaneously measuring and recording the relevant environmental conditions of the system. PCE-428-KIT is a class 2 sound data logger kit that meets IEC 60651:1979, IEC 60804:2000, IEC 61672-1:2013, ANSI S1.4-1983 and ANSI S1.43-1997 requirements. This portable high-accuracy sound level meter has a large easy-to-read illuminated LCD screen that displays the sound pressure level (SPL) numerically and graphically in real time. PCE-NDL 10 is a high-quality class 2 sound level meter with data logging capabilities. This noise dosimeter records sound pressure level (SPL) measurements as well as dosimetry (dose) measurements in decibels (dB) and saves the measurement data to the internal memory, which can then be transferred to an SD card (SD card included). These sound logging test instruments are calibrated by the manufacturer. An ISO calibration certificate is available as an option. The PCE-HT 71N Data Logger detects air temperature and humidity and stores readings in its internal memory. The Data Logger has a compact format and a wide memory capacity (up to 32,000 values / 16,000 values for each parameter) and it is mainly used as a data logger in fields such as supermarket refrigeration units, refrigerated transport, warehouses, and other temperature controlled environments. The logging instruments are sent out manufacturer calibrated and can be equipped with an ISO calibration certificate optionally. PCE-322A is a handheld, portable, professional Class II sound data logger or decibel (dB) meter with built-in data-logging or data-recording functionality. Thus, PCE-322A is ideal for real-time noise measurement as well as for long-term noise exposure monitoring over time. PCE-322A is a handheld, portable, professional Class II noise level meter or decibel (dB) meter with built-in data-logging or data-recording functionality. Thus, PCE-322A is ideal for real-time noise measurement as well as for long-term noise exposure monitoring over time. This noise level meter comes with an ISO calibration certificate (PCE-322A-ICA). PCE-322A is a handheld, portable, professional Class II sound level meter or decibel (dB) meter with built-in data-logging or data-recording functionality. Thus, PCE-322A is ideal for real-time noise measurement as well as for long-term noise exposure monitoring over time. This PCE-322A sound data logger comes with a PCE-SC 42 acoustic calibrator. The sound data logger and acoustic calibrator are sold together as a set as PCE-322-SC42. The PCE-HT 71N Data Logger detects air temperature and humidity and stores readings in its internal memory. The Data Logger has a compact format and a wide memory capacity (up to 32,000 values / 16,000 values for each parameter) and it is mainly used as a Data Logger in fields such as supermarket refrigeration units, refrigerated transport, warehouses, and other temperature controlled environments. The noise datalogger PCE-322ALEQ is particularly suitable for measuring noise in the field of industrial, health, safety and environmental monitoring. The PCE-322ALEQ noise datalogger has a logger function, which allows storage of up to 32700 readings. The noise datalogger PCE-322A is particularly suitable for measuring noise in the field of industrial, health, safety and environmental monitoring. The PCE-322A noise datalogger has a logger function, which allows storage of up to 32700 readings. The PCE-HT 71N Data Logger detects air temperature and humidity and stores readings to its internal memory. This Data Logger is compact and has enough memory to store up to 32,000 readings, 16,000 for each parameter, and is used above all as a Data Logger, in supermarket refrigeration units, refrigerated transport, warehouses and other temperature controlled environments. These temperature and humidity logging test instruments are manufacturer calibrated. An ISO calibration certificate is an option. This RS-232 - USB data logger can be connected to the serial Sub-D 9 interface of a device and store the received data on a USB stick in TXT format. The RS-232 - USB data logger can save received data with time and date stamps and also interrogate the data automatically at adjustable time intervals. The PCE-313 A Data Logger measures relative humidity and temperature and can be used in the air-conditioning sector. The PCE-313 A Data Logger can be connected to type K thermo-elements to detect, for instance, the temperature of a wall by means of a surface probe. The internal memory of this test equipment allows the Data Logger to record humidity and temperature data at an adjustable measurement interval. Thanks to its SD memory card (1 to 16 GB) the humidity test instrument can be used for long term data acquisition. The logging meter comes manufacturer calibrated (ISO calibration certificate as an option). - Relative humidity: 5 ... 95% r.H. The PCE-313A Humidity/Temp Data Logger measures relative humidity and temperature and can be used in the air-conditioning sector. The PCE-313A Humidity/Temp Data Logger can be connected to type K thermo-elements to detect, for instance, the temperature of a wall by means of a surface probe. The internal memory of this test equipment allows the Humidity/Temp Data Logger to record humidity and temperature data at an adjustable measurement interval. Thanks to its SD memory card (1 to 16 GB) the humidity test instrument can be used for long term data acquisition. The Data Logger with microprocessor is a high precision 1-channel temperature gauge. 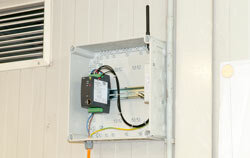 The Data Logger with microprocessor is ideal for use with various Pt100 sensors. These temperature logging test instruments are calibrated by the manufacturer. An ISO calibration certificate is available as an option. - High accuracy of ± 2% r.H. The Data Logger with microprocessor is a high precision 1-channel temperature gauge. The Data Logger with microprocessor is ideal for use with various Pt100 sensors. The temperature logging test instruments are manufacturer calibrated (ISO calibration certificate is included). - High precision: ±2% r.H. The PCE-360 is a Three-Phase Power Data Logger with data logger functionality. This versatile power analyzer can take single-phase and three-phase power measurements both in real time and over an extended time period. 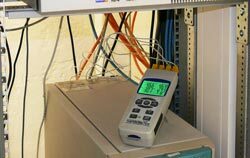 The PCE-360 is a Clamp Meter with data logger functionality. This versatile power analyzer can take single-phase and three-phase power measurements both in real time and over an extended time period. The PCE-174 Data Logger with memory for up to 16,000 readings is used for measuring light in industry, agriculture and research. The Data Logger is also used for determining illumination in the workplace, shop window displays, and by designers. This light logging instrument is calibrated by the manufacturer. An ISO calibration certificate is available as an option. - Sampling rate: 2 ... 99 sec. What type of data logger do you need / Support for your data logger purchase decision. Generally, customers can always call PCE Instruments‘ technical support hotline: +44 ( 0 ) 2380 98703 0. The engineers and technicians will ask you specific questions on your application and suggest you the most suitable data logger / data acquisition system to deal with your measuring task. In the following, you can see some tips to consider when choosing / buying a data logger. Depending on your measurement application, you must select an adequate accuracy of data acquisition. For instance, if you are looking for a data logger for long-time monitoring in an office, the accuracy of the data logger plays a minor role, compared to measurements in a refrigerated vehicle to monitor adherence to the cold chain. Thus, it essentially depends on the type of application and on the measurement parameter what accuracy you should select. When it comes to the measurement parameter, significant differences about the sensor used for data acquisition must be taken into consideration. For example, sound measurements with a data logger can be easily influenced by external factors, the measurement value can easily be distorted (even if the data logger’s sensor technology is very accurate). For light and radioactivity measurements, the sensors normally used for data acquisition with a data logger device are very inaccurate by themselves (light: ±3 %; Geiger-Mueller counter tubes: ±20 %). 1.Usually, the accuracies of the different sensors of a data logger, referred to the full measurement range, are not the same. In most cases, you will receive a curve diagram showing what measurement range the specified accuracy refers to (e. g. relative humidity: ±1.5 % within a measurement range of 20 ... 90 % relative humidity; outside this range ±2.5 % RH). If you would like a high-quality data logger, e. g. with a high accuracy within the measurement range of 5 ... 30 % RH, the manufacturer of the data logger or a special laboratory can adjust the data logger accordingly. Repeatability means that the same person taking the measurement will get nearly the same result, using the same data logger, under comparable framework conditions. Reproducibility means that different people taking measurements with the same data logger will get nearly the same result under comparable framework conditions. When purchasing a data logger, please have a look at the manufacturer’s technical specifications to see if there is information on the data logger’s repeatability and reproducibility, along with the information on the accuracy. Particularly for data loggers, an adjustable sampling or recording rate, i. e. the speed of data acquisition (100/s; 10/s; 1/s; 1/min ...) is very important. For measurement parameters which change only slowly (rel. air humidity), a very low sampling rate will not make sense. A sampling rate of 1/min will be better in this case. On the other hand, when, for example, machine vibration is recorded using a data logger, the sampling or recording (data acquisition) rates should be very high (e. g. 1000 Hz). However, this requires a very high memory capacity of the data logger and a strong rechargeable battery. As data loggers must often perform data acquisition over long period of time, the energy supply of the data logger is an important criterion when purchasing a data logger. PCE Instruments offers a software along with many data loggers that includes a tool to set the sampling rate, etc. This tool will also show you the maximum recording time of the data logger (e. g. 200 days). Depending on your settings, it might even be possible that your data logger can record for 300 days. A versatile analysis software is often available with your data logger. When you purchase a data logger, make sure that the software can at least transfer your measurement data form your data logger to the computer in MS Excel. A standard software that comes with a data logger can also be used to analyse the data. In the ideal case, PCE Instruments offers a software for your data logger that can analyse the data graphically. In addition to the possibility to set the data logger’s measurement parameters, such a software has some analysis functions as well as a reporting function which allows the user to create reports (for colleagues, customers, etc. who you did the measurements for). 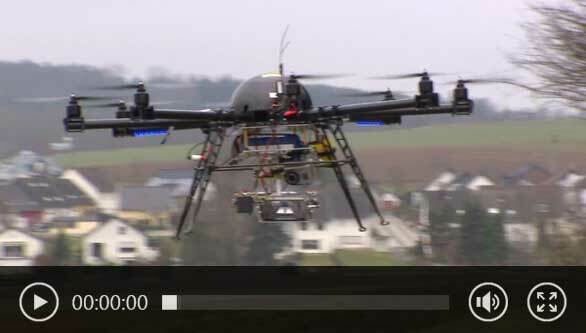 In addition to the functionality, the buyer should also have an eye on the data logger´s compatibility and modernity. Make sure, for instance, that your data logger’s software matches your computer’s operating system and that the manufacturer offers a download section where you can always download the latest version of your data logger’s software. Depending on the application of your data logger, it might have to be calibrated or re-calibrated. If your ISO manual stipulates regular calibration of your data logger, you will, of course, have to consider the regular costs. It can also happen that a data logger’s sensor, e. g. for relative humidity, is outside the specifications due to the normal sensor drift, which means that the data logger must be readjusted. Further costs will therefore occur. As costs for sensors, (rechargeable) batteries, etc. steadily decrease, it is not necessary to include excessive repair costs and costs for replacement parts in your budget plans. Service / support is another important issue that must be borne in mind when choosing the right data logger. Of course, it is not easy for you to assess the performance of a manufacturer or seller of data loggers but you must try to find out how likely it is that you will receive support and be able to order spare parts a few years after buying a data logger. Call PCE Instruments, talk to one of the engineers and technicians and to the orders department, convince yourself of the quality of the technical and sales support and rely on the worldwide company network of PCE Instruments (since 1999). PCE Instruments (PCE) can produce customized data logger devices tailored to meet your unique needs.apitalize on the expert knowledge and extensive experience of PCE’s industry-leading engineers and technicians to create a personalized data logger custom-built for your application. - What are the measurement parameters (e.g., sound, temperature, force, vibration, voltage, current, shock, moisture, humidity, light, gas, air)? 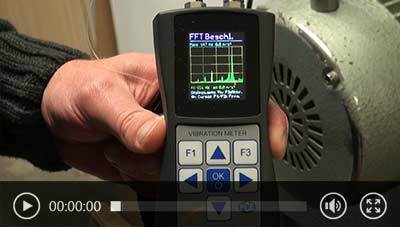 - Which measurement parameters should be recorded with the internal and / or external sensors? - What measuring range do you require based on the custom data logger’s intended usage? - How big should the memory be to accommodate the desired sample rate and duration? - How should the stored data be exported from your specially made data logger? - What outputs do you need (e.g., USB, RS 232, RS485, Bluetooth, Modbus)? - Do you require functionality for real-time analysis? PCE’s engineers and technicians will use this information to create a custom data logger solution that is tailor-made to your specifications. Contact PCE Instruments today at or +44 (0) 2380 987 035 (UK), or or +1 (561) 320-9162 (US / Canada) to inquire about developing a custom-made data logger for your practical use. By means of a data logger, an incredibly wide spectrum of monitoring tasks and measurements can be carried out and due to its high capacity memory, stored and processed later. Also called a data recorder, data sampler or data collector, the ubiquitous data logger has a host of practical applications. For example, a data logger can be used to monitor moisture on a construction jobsite to ensure the proper curing of concrete.A data logger also can be used on a manufacturing floor to assess machine sound and vibration levels. In heating, ventilation and air conditioning (HVAC) ducts, a data logger can be used to evaluate air flow. The data logger PCE-T390 can measure and record four different temperature entries simultaneously, making them ideal for monitoring the temperature of four different parts of a machine. Many data loggers have got an internal slot for USB stick to which the data can be stored and later transferred to the computer. The “latest” models wireless, which makes an operation easier with no necessity of permanent connection to the PC. Waterproof and splash proof data loggers (with IP68 protection class) widen the range of applications and make it possible to get the data in the most unfavourable conditions. The data about temperature (especially temperature inside the products in food industry), water levels / depth, water parameters, heat flow can be collected continuously stored as well as transmitted to the main database (remote server). Due to the interfaces Ethernet, GPRS, BLUETOOTH, MODBUS, the data really seems “to fly through the air” to any part of the world – the data is acquired remotely and afterwards can be viewed, stored, published via Web browser, LAN etc., so the data becomes available on line, without an immediate proximity to the data logger. After the data logger has been configured to communication ports Wi-Fi, Bluetooth, GPRS etc., the data acquisition takes place continuously or with set intervals, which allows to get precise results and to get a clear “picture” of what is going on over a longer time periods. 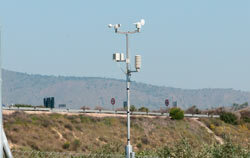 One of the examples can be a wireless data logging weather station. The system can be used outside and the data is transmitted to the data base wireless. This is an easy-to-operate data logger device which nevertheless provides an opportunity for tracking the weather conditions (real time or forecasting). With the help of these data logging systems the user can get information about temperature, humidity, approaching storm, wind velocity, solar insolation UV level, rain. From stationary data logging equipment to handheld, water-resistant data logger devices, PCE Instruments’ data logging product portfolio lends itself to the multipurpose nature of the data logger and diverse measurement parameters. Each data logger is usually battery operated, equipped with large internal storage for up to 2,000,000 readings, and possesses an RS 232, RS485 or USB interface for data transfer to a computer. Some data loggers have a slot for an SD memory card. In these data loggers, the data is saved as a Microsoft Excel-compatible .xls file, allowing for quick and easy data transfer from the SD card to a computer for tabular analysis and graphing. PCE Instruments also offers Windows-based software for a number of data logger devices. This software allows the measurement data to be analysed in real time. Depending on the model and configuration, the data logger can have different sample rates. In addition, PCE Instruments carries accessories like mounting supports and mains components or AC power supplies. Depending on the purpose of the measurement / monitoring, there are both, single and multichannel data loggers available. If it goes about small monitoring of one parameter, single channel data logger may be absolutely enough, and these are, so called one-purpose devices. A big number of data loggers are multi-channel devices, which makes them more flexible devices suitable for various applications. This means that the data loggers have got a few differential analogue inputs (can be used with various types of signals: voltage, current, and resistance, 4-20mA current) as well as digital ones. This gives a possibility to use the data loggers in connection with thermocouples, thermistors and various sensors (internal and external), thus creating real data logging systems. Multi-channel principle allows for expanded data acquisition (diverse sensors can be connected to the data logger), simultaneous registration of different parameters and variables, and collection of all the data on one PC. The multichannel data loggers can be configured by the user in accordance with the parameters he would like to measure. In connection with the standard meters (used for gas, water quality, energy, air, vibration, force, temperature), the data logger helps to monitor and analyse the consumption levels, the flow velocity, diverse water parameters and thus control the water quality (pH level detection, dissolved oxygen content), carry out the monitoring of the environmental conditions, air quality (CO₂ content, oxygen level). An enormous role the data logger application plays in the food and pharmaceutical and medical industry where very strict requirements to quality, storage conditions, temperature / humidity maintenance, sufficient cooling in accordance with cold chain requirements, protection from environmental changes are of paramount importance. Thus, data loggers help to find out if there is compliance with the regulations and norms, like HACCP requirements which apply to the manufacturing, storage, packaging, treatment of the foodstuffs and which both, manufacturer and supplier should follow and the conditions – comply with, at all of the stages of the long supply chain..
PCE Instruments is a trusted manufacturer and supplier of accurate, reliable data logger products. Each data logger is calibrated and adjusted according to the highest possible quality standards by PCE Instruments itself, or by a first-class calibration laboratory partner. Nearly all data logger devices can be recalibrated in accordance with a particular standard of measurement. Please bear in mind that data logger sensors can change over time (drift). These changes can negatively impact the accuracy of measurement. Humidity sensors are particularly delicate in this regard. Some data recorders, such as the PCE-DAL series, are calibrated for a limited period of time (approximately 2 years), so once this time has passed, this type of data sampler / data logger must be recalibrated to ensure accuracy of measurement. Nearly all data loggers can be recalibrated in accordance with a particular standard of measurement related to temperature, humidity or other logging parameters. The introduction of International Standards Organization (ISO) 9000 brought about new requirements for quality control. As a result, many companies and laboratories must obtain ISO calibration certificates for their measuring instruments. A data logger can be calibrated to meet ISO 9000 or National Institute of Standards and Technology (NIST) standards and maintain the certified level of accuracy for several years. Once calibrated to ISO 9000 or NIST standards, the data collector / data logger can be included in the company or laboratory’s set of internal testing tools. Annual recalibration can be performed by PCE Instruments to keep all test instruments accurate and up to date.. The devices featured in the data logging instrument application videos offer flexible data recording and data analysis capabilities. For example, the PCE-007 data collector stores the measurement values directly in the memory of the data logger. The measurement values also can be transmitted to a PC via the provided data cable for analysis using the included software. This allows you to carry out measurements while onsite and then analyse the data later, from the comfort of your office. Thus, you save time by not having to take tedious notes in the field, and you avoid transmission errors because you’re in control of the data and the process. The PCE-007 anemometer with data logger is an essential piece of heating, ventilation and air conditioning (HVAC) test equipment used for the balancing and monitoring of ventilation systems. The external impeller is on a 1.5 m / 4.92 ft cable, increasing mobility while delivering precise air velocity measurements. The battery life of a data logger is approximately 50 hours. The battery output is 300 mA/h. If you wish to take a long-term record exceeding more than 2 days, a battery pack or power adapter is required. Note: When data recorders are used with different input channels, their maximum memory capacity only refers to one channel. If you use a data logger with four input channels, maximum memory capacity has to be divided into four parts. For example, a four-channel data logger with a maximum memory of 32,000 bytes offers 8,000 bytes for each channel.